As according to the news, She had gone to Mumbai to attend a business seminar and was staying at Oberoi Hotel. During the attack, she is one of the hostage. An Indian news channel had reported that the terrorists had held the woman at gunpoint and ordered her to tell the Singapore Government to tell the Mumbai authorities to refrain from acting against them, or she would lose her life. Unfortunately, she was killed during this chaos and her family could only identify her body in the hotel room. She is the first Singaporean to die in a terrorist attack. Her body back home from Mumbai on this morning. I like her happy smile shown in the photo. She is so young. It is a very sad news. Let’s just pray for her and the other hostages that are being captivated. STOP terrorism! While a lot of us were celebrating Thanksgiving day and enjoyed the happiness with friends and family, that was a black and sad Thanksgiving day in India. I believe a lot of us have been watching the news and shocked by the terror attacks in Mumbai for the last 24 hours...Mumbai became a bleeding city in one night. Why those terrorists killed so many innocent people? What they are fighting for? Why every one of us in the world, in the world of human, can not just lead our own life peacefully, respect each other believe and religion, respect each other living life, respect each other life style. lead our own life in our own country, don't too much bother about others, will this world be more peaceful? More news see here, here, here and here. Today, I visit one blog is about Parenting Magazine, Parenting Course , this is a great blog, there are few of articles talk about kids, mom etc, it is quite impressed. I was reading one of the old posts How young is too young, it impressed me. " How young is too young to start your kids on the Internet?" I am thinking of this question for quite sometime. "How young is too young to let your kids go online and do their own thing?" I have a daughter who is 10 years old now, she spends more and more time in front of computer, she starts to chatting online now rather than just playing the game and surfs the net. I am quite worry, you know there are different kinds of funny things could be happening through out the net. But as a mom, you can't simply just say "No"' , by saying "No", you will build up a wall between you and your young kids, end up they will against you and won't share with you what have happening in their life. That is worse. "If your kids are going to use a site, service or the any new technology that comes along, it is your job as a parent to make sure you learn it too." I totally agreed with the author brad saying. Learning what they learn, knowing what they know, this is the only way to get along with your kids better, and guide them growing up happily and healthy. 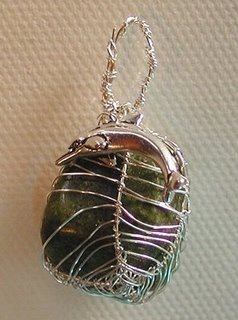 This is a great blog, http://gufobardo.blogspot.com/, with a lot of pretty handmade stuffs. the blogger is an artist from Italy. 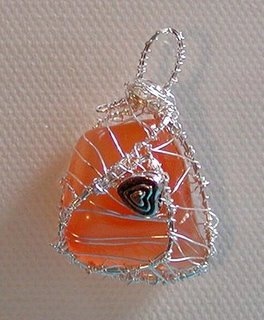 I love those handmade pretty things, those artistic accessories are so beautiful. It reminds me my last year Italy trip too. Italy is a country with a lot of great artist, I wish I could visit it again in not too long future. The creative box. I love it. Actually, this practice has been ongoing since about 15 years back. It can only get worse with the increase in our population & limited number of food courts, hawker centers & coffee shops. This practice also shows that Singaporean are very “ Kia Su” , Singaporean are too much self protected. In my view why Singaporean like to reserve seat while they are ordering food, because they scare can not find a seat, they don’t like to carry the food plate move around, mainly also a lot of Singaporean don’t like to sit together with strangers. I often see one person or two persons occupied a four seats table in a crowed food center, they put their bag on the empty seat, they won’t remove their bag even they see you carrying a food plate looking for a place to sit down, especially those ladies. :) Especially if you are a guy, you ask a lady: “May I see here? 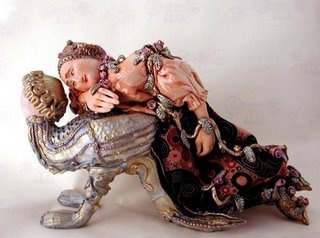 ” , she will raise up her eyebrows and look at you for a while, then only removes her bag very unwillingly. :) She thinks you are looking for a chance to talk to her. Haha. Lol. Singaporean take this hobbit as a common practice while foreigners will feel it is very weird. What should I say? A lot of buzz has been going on in the media recently on the topic of euthanasia in Singapore. Equally, there are two different comments on this subject from a variety of viewpoints. Doctors, caregivers and religious groups in Singapore have said there is a distinct difference between euthanasia and the Advanced Medical Directive (AMD) which the Health Ministry wants to simplify. Experts said it is all in the definition. They said signing the AMD to say you would rather have the plug pulled - than be kept alive by machines if you are terminally ill - is not euthanasia. In Singapore, active euthanasia is prohibited by law but passive euthanasia can be carried out on a terminally ill patient as long as he has signed the Advance Medical Directive (AMD). AMD is an order to your doctor not to prolong your life. Family members cannot revoke one person's AMD. But, I am now talking about Euthanasia, not the Advance Medical Directive. I am talking about Euthanasia that refers to the action taken by the physician and the patient, who both agree to end the patient's life even the patient does not need any life life support systems at the time of making such decision. Euthanasia is a highly controversial issue and few countries have been liberal to embrace it. I am a supporter of euthanasia. I strongly believe that we have the right to end our own life if we choose to. It is our body and we should have the control on our own body. If I had a condition which was terminal and was no hope, I would like to die with dignity and spare my family having to watch me suffer. Why I should endure a long, drawn-out, painful death, why I couldn't choose to die peacefully with a smile without any survival medical machine on my body. It's my own body and ultimately, it should be my decision what I do with it and my life.Why I should suffer with painful sickness, and let all my beloved one suffer too. I really hope Singapore could have a law set up properly to allow everyone to choose how they want to die. Everyone of us should be able to die peacefully if we want to. No one should be made to suffer. Everyone believes in the right to live, why not the right to die? I think it's a very personal decision that should be between a person, their family (if they're around or important to the patient). I firmly believe that people should be able to do whatever they need/want, as long as they don't hurt anyone else. Basically, I believe in the right to be left alone. I would like to see the legalization of euthanasia in Singapore. Lily saw this bra cake from Singapore cake shop web site, wanted to order for our friend Jack who is turning to his forty years old next week. A cake in bra shape, haha it is fun, especially for a birthday party, adults party...But one of our friend said it is so disgusting, she said we shouldn't make fun on such thing...Lily is arguing with her on ordering the cake. Actually, I don't feel any big deal. Since Jack is a down to earth, easy going, like to tell joke, he is a fun person, it shouldn't be a problem to have such a bra cake on his birthday, though there are some other lady friends. We celebrate so many birthdays in a year, we eat so many kind of birthday cakes in a year...The meaning of sending a cake is not just eating the cake, but to create some fun in life, to send the best wishes to our friend. Nothing is disgusting by sending such a cake on someone's birthday party. Why must we take our life so serious 24 hours? I like to use Green, Energy Star Products. Every one of us should try our best to use eco-friendly products to save the earth. Instead of normal light, buying green environment products like solar garden light is a simple and easy way to save the earth. I have been searching for the possibility to promote the solar related products in Singapore. But till now I only see a few solar related products are available in Singapore market. Many years ago, my friend even imported some solar operated garden light into Singapore market. But his business failed. Singaporean are still not ready yet to accept green, energy products? Is solar system workable in Singapore? I am looking forward to see more of the below lovely items to be available in Singapore. Solar address no Your address may be visible from the street during daylight hours, but how well can it be seen at night? Kind of like the moon appearing after the sun goes down, these Solar LED Address Numbers illuminate at night making the numbers easy to read. Illuminated house numbers are favoured by ambulance, fire, police, delivery services, and friends. Numbers light up automatically at night and turn off in the morning. Saves energy and money for years. Solar path light Light your walkway without having to replace batteries or plug in Lights. These solar powered path lights will add nighttime illumination to any path, patio, or yard. Lights are powered by the sun - no electricity required! These Lights charge by day and turn on automatically at dusk—to light your arrival, greet guests and make burglars think twice while you’re away. I read an article say about home plant Aloe Vera, it talk about Aloe Vera benefits and its uses. I am a "Aloe Vera" lover, it is very useful to have one Aloe Vera Plant at home. Sometimes when I am cooking, the hot oil spilt on to my hand, it is so painful. One slice of Aloe Vera is the best medicine. Just apply the fresh juice of Aloe Vera on the skin, an immediate application of fresh gel has relieved much of the pain.Another benefit of Aloe Vera is good for our hair. Aloe Vera is a good way to treat hair lost. Many hair products such as conditions, hair shampoos contain aloe Vera. Millions of people are facing the hair loss problem, the market for products that promise hair growth is vast, but many of these products are either excessively expensive or completely ineffectual. Aloe Vera has been used by many different cultures to stimulate hair growth, and it is safe, natural and affordable. Planting Aloe Vera in a container at home is so easy. Aloe Vera is growing well in Singapore, all you need is a bigger type of pot, moderately fertile, and fast draining potting soil. Aloe Vera is a succulent, and as such, stores a large quantity of water within its leaves and root system, so water once a week is enough. 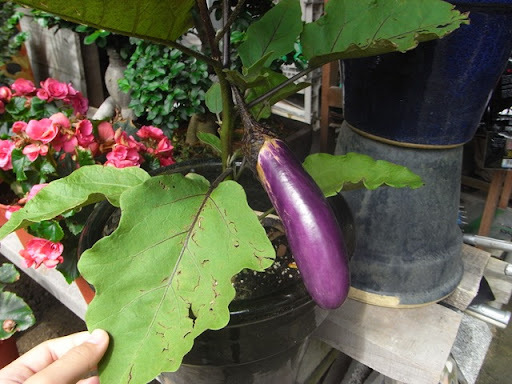 It is very suitable for Singaporean who have not much time to spend on the gardening. Aloe Vera is very fast growing. I have been keeping a few pots of Aloe plant around for years. Every week I will remove a lower leaf from the plant, slice it open, with a knife skin off the top green layer, will get a sticky translucent inside, I will grind it to get the Aloe Vera juice, store it in a small bottle for use in a week. After washing my hair with shampoo, I will apply the Aloe Vera juice on the hair, leave it for around 10 minute while massaging my scalp a little bit, you can also use a warm towel to wrap your head, and just rinse it. I do it once a week when starting, now I do it once a month for maintenance. I had hair loss problem before, since I started using Aloe Vera juice, hair loss problems are solved. By the way, I was told Aloe Vera gel is good for skin too, but I dare not to try on face skin, face skin is more sensitive, right? Doe anyone tried before? "He was throwing things around and as he was walking out of the zoo, he passed comments like 'Goodbye, you won't see me again'. He later jumped off the ledge into the water, waving a broom and pail to white tiger, once he was inside the enclave, The largest tiger lunged at him and he fell and quickly recoiled in a foetal position while trying to cover her head with the pail. Visitors thought it was a show until one of the tigers bit his back and started dragging him to the tigers' den. One zoo keeper who was nearby quickly used his walkie-talkie to raise an alarm. Other 20 zoo keepers came forward and managed to get the tigers back in the den. The police was called and an ambulance arrived, He died shortly after." I am very curious why the man jumped off ledge into the water, walk towards to the tigers area, and finally killed by animals. What kind of problems he had, however life is not that bad although everyone of us have different "headache". One friend sent me this video link on youtube. "According to cnn.com, this baby who was born last October 2005 in the Bihar region, one of the most remote areas of India, populated by Hindu farmers. Lakshmi was born with 8 limbs, and the villagers thought that the baby was the embodiment of a goddess. In medical terms, Lakshmi had a parasitic twin, a condition so rare that no reliable numbers exist on its prevalence. The incidence of conjoined twins is one in 50,000, and Lakshmi's kind of twin forms in only 3 percent of all types of conjoined babies. Last November 6, 2007, thea team of 30 surgeons began working on Lakshmi. The first step was an organ transplant; Lakshmi had two functional kidneys, but one was in the twin, so doctors transplanted the parasitic twin's kidney. They had to disentangle organs, including entwined intestines. One of the trickiest aspects involved the spine and pelvis and legs: specifically, reconstructing the pelvic ring without damaging nerves and picking the right legs, so Lakshmi could one day walk. After how many months of staying at the hospital for the full recovery, the little girl is happy but still has to undergo additional surgery..." I salute all the doctors who did this transformation of Lakshmi successfully. It is truly amazing how God uses doctors to be His tools for this surgery. But I feel very sad for some people who wrote bad comments on the youtube. She is kid and was born like this, she hasn't done anything wrong, she is among one of us-human! She deserve the respect from all us who are healthy and happily alive! Please STOP posting rude comments and think how lucky you are and be thankful to god. Life is not just what we see it but how we see it. Good, better, best, never let it rest. When your good is better, make your better best. You can get everything you want in life if you will just help enough other people get they want. Life is never perfect, take what you have and make it the best. You can say "no" whenever you feel like to say so. Don't ever fall in love with a person who wants to make a lot of changes on you. Roselle also named as Hibiscus Sabdariffa or 洛神花(LuoShenHua) is the beauty herb of the orient. I ever seen the flower buds are sold in the NTUC. Does anyone know where to buy Roselle in Singapore? According to wiki, the Roselle (Hibiscus sabdariffa) is a species of hibiscus native to the Old World tropics. It is an annual or perennial herb or woody-based subshrub, growing to 2–2.5 m tall. The leaves are deeply three- to five-lobed, 8–15 cm long, arranged alternately on the stems. The flowers are 8–10 cm in diameter, white to pale yellow with a dark red spot at the base of each petal, and have a stout fleshy calyx at the base, 1.5–2 cm wide, enlarging to 3–3.5 cm, fleshy and bright red as the fruit matures. 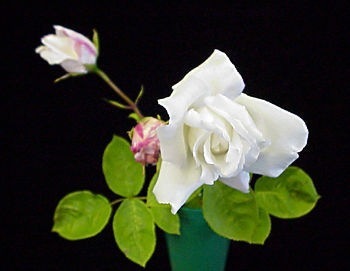 It is an annual plant, and takes about six months to mature. A roselle variety planted in Malaysia. 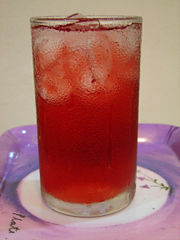 Roselle fruits are harvested fresh, and their calyces are made into a drink rich in vitamin C and anthocyanins. Those bud-like things are the calyx left after the petals have fallen off, and they can be made into wine, thrown into salads and even fried. 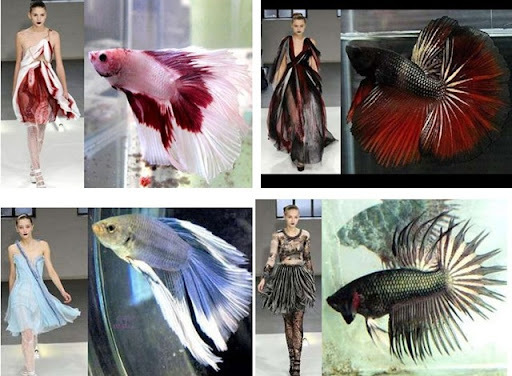 Betta fish is know as fighting fish, they fight to protect their territory, to ensure that they have enough food, and also because they want to be “king of the hill” when it comes time for them to breed. 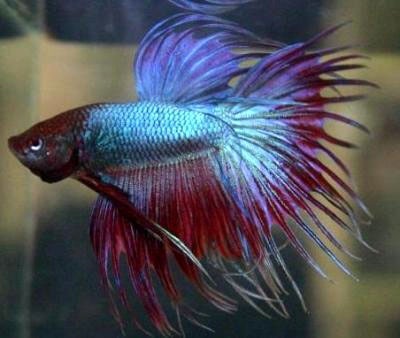 I ever tried to keep two male Betta fish in the tank, they were fighting to each other till I quickly put one piece of glass in the centre of the fish tank. Even that, they were still “flare” at each other – (this means they puff up, flaring out their fins and gill covers, to make themselves look bigger and more threatening.) Often one fish will admit defeat and swim away, leaving the other male victorious. That is the time they show off their beauty. 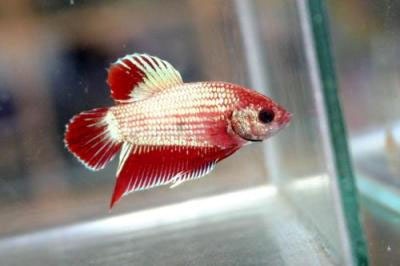 Seeing one betta fish in the tank is so boring right? 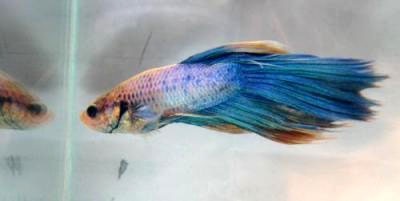 Do anyone know what other fish can lead a peaceful life with betta fish? A garden is not just flowers and plants, soil & seed, but a living city made up of different elements all harmonious, all sharing the same ground, same air, same earth. Building a garden is not just grouping all the living plants, but a wisdom is drawn from nature & the ability to coexist. Knowing to appreciate a garden is a healthy lifestyle, no matter how big or how small the garden is, learn to appreciate it, enjoy it. Life is sure will be happier. Personalised gifts are a great gift giving idea. 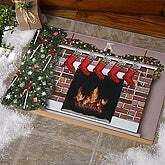 There are many personalized Christmas Gifts from PersonalizationMall.com are available for you to choose. I love the the Personalized Christmas Ornament, All Hearts Come Home Marble Plaque. 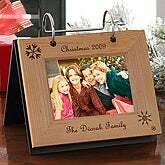 The Christmas ornaments would make a wonderful keepsake and the marble plaque is the best gift for a family. These are all adorable and affordable gifts for this coming Christmas, there are lots more on offer. Do stop by this web site PersonalizationMall.com - have a browse, choose the gifts for all the people have been taking care of you in the year, send them a personalised gift to say "thank you". Enjoy! These are some discount coupons for you. LOL. Free shipping on personalized gifts at PersonalizationMall.com! Enter PM5551 at checkout on orders of $50 or more. $5 off personalized gifts with $15 purchase at PersonalizationMall.com! Enter PM6680 at checkout. Do you smile every day? re you happy with your life? Do you smile every day? How we achieve happiness can be different for each one of us. Our passions, expectations, life experiences, and even our personalities all contribute to the level of happiness we experience in our lives. You may find happiness in your careers, some others may prefer the bliss found in their marriages or other intimate relationship. Whatever you are looking for in your life, do smile every day. 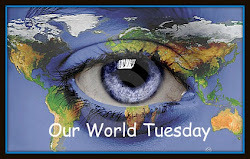 There is one blog I read many month ago, Great Smiles - Happy Life - The happiest blog on earth! -the Secret of how to be happy and find happiness on the happiest blog in the world with great smiles that make my day! This is a great site. There are a lot of great smile faces listed on the blog. I copy one image here, I like those happy smile face though I don't know them. Their smiles cheer my days. I will learn to smile everyday from now on. Will you? 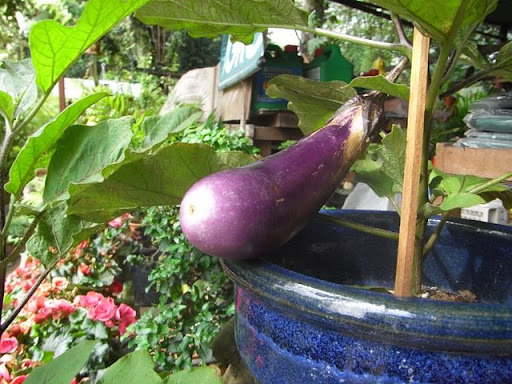 Here are my potted Chinese eggplant, almost fully ripe... I am planting other herbs and vegetable in the container, all are growing well. They are parts of my busy life. Life is very stress as a working mum, but all of us need to find something to balance ourselves. Smell the flowers, enjoy life. Do some gardening is my way to let go stress. 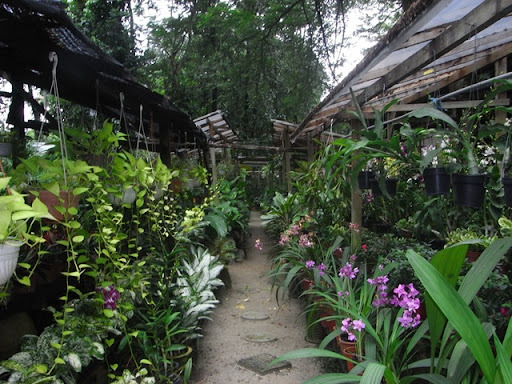 My so called garden is the corridor out side my HDB house, limited space but displayed many of the potted plants. There are a few little green tomatoes hanging in a cluster and the red and green pepper are ready to pick at any time. These are my pride and joy at the moment. Life is not just what you see it but how you see it. I was so surprised when she showed me her art and craft project. She names it "Dream House". I Suggest her give a name-"Kitty Land". 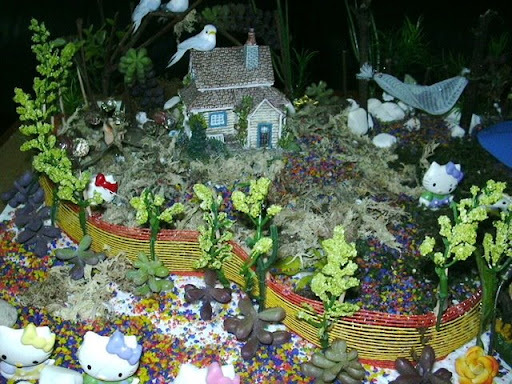 She uses all the hello kitty figures in the craft work. Great! That is all I can say. Why I say great? Not because of the craft work that really fantastic. 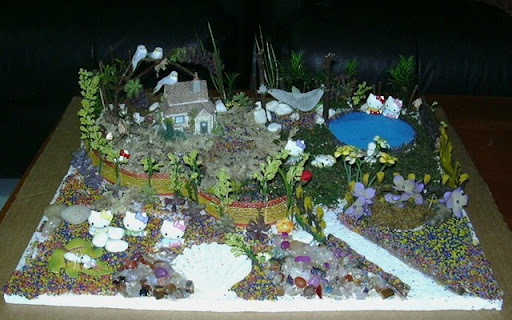 Because all the materials she used in the craft work are from her "recycle collection". She likes to collect some small cute cute things like artificial flowers, artificial birds, dried leaves, small stone,colour sands etc. Every time when I do house cleaning, I will throw away some old flowers arrangement, dead plants, unused decoration item etc. She will quietly pick some items, and keep it in her own treasure box. From time to time she will use all these my unwanted item to make some craft work to surprise me. 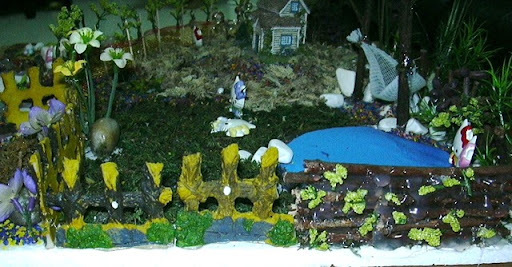 For example, the house figure she used in the project is my thrown away item, because one side of the figure has some cracks. She used in her project and covered the cracks with some dried grass. The hello kitty figure she used in her project are from her old hair band. 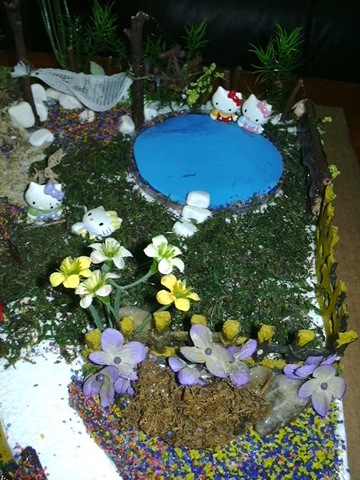 Guess-what are the materials she used to present the swimming pool-the round blue colour item in the craft work? That is the cover of plastic container stick with blue colour paper what she cut off from one magazine. When I see all the materials she used in the craft work, I just can't stop laughing. Wow! 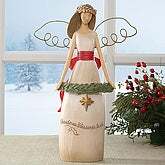 It is really eco friendly-recycle, save money.She said this is an early present for me for this coming Christmas. Yeah, I like it. Her creative thinking is the best present to me.